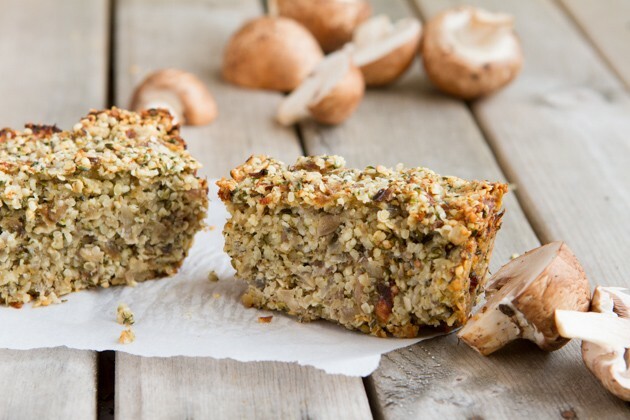 This grain-free, low carb, keto, vegan seed roast is bursting with flavor, light and easy to slice. Made with keto-friendly hemp hearts, flax seeds and nourishing fats. Great on its own as a keto snack or as a main dish for the family to enjoy. Disclaimer: I’m not big on “labels”. If you’ve been reading HP for awhile, you know this. Eating high-fat, low carb, keto resonates with me. On top of that, some days I’m “paleo”, other days I’m “vegan”, etc. I trust that my body will guide me along the way. And, your body can do it, too. There are days when I don’t feel like eating meat. Granted, those days are few and far between (I’m making up for 7 years of being a strict vegan ;). But they do happen. And when they do; as a lover of low carb, high-fat, keto, I usually make a huge keto salad thing and pile on the hemp hearts. It’s delicious, but doesn’t look that pretty. I; like you, like to eat pretty food. Last week’s video, How To Become A Fat-Burning, Low Carb, Keto Vegan, sparked an amazing conversation around plant-based, high-fat, low carb, keto living. If you haven’t watched it yet, you should! Whether you’re vegan or interested in infusing your ketogenic eating style with more plants, there’s a bunch of solid tips and strategies in there for you. WATCH IT HERE. One of the things we talked about in the interview portion of the video; where Jo from IncludingCake.com popped in to give her tips on living as a ketogenic vegan, was keto vegan nut and seed roasts. 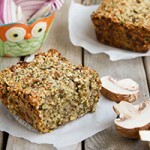 If you Google, “Vegan Nut Roast” or “Vegan Seed Loaf” you get a lot of high-carb, low-fat recipes. Bleh. Jo and I have joined forces to create this low carb, keto, super-simple, ultra-delicious seed roast for you. There’s hemp hearts, lots of them! Why? 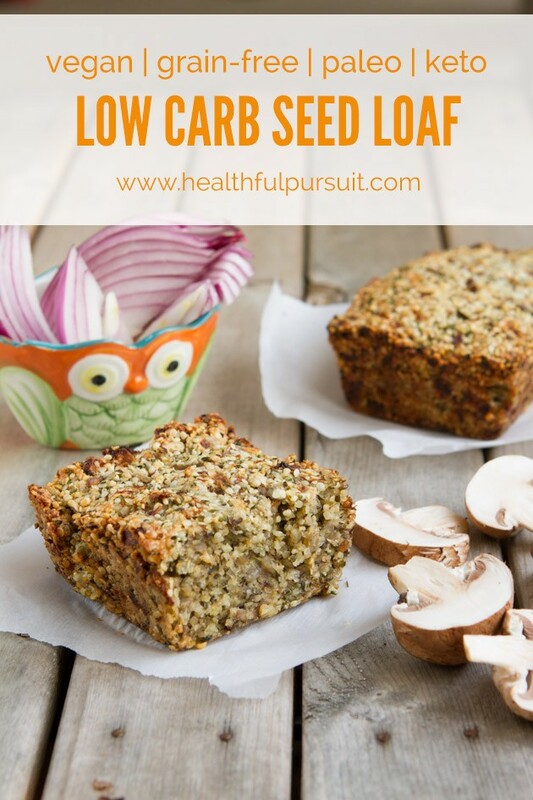 Because they are the epitome of a balanced seed for this way of keto eating: 0 net carbs, loaded with fiber, a good amount of protein, omega-rich, and they act like oats in just about every recipe, helping this keto seed loaf hold together perfectly when sliced. 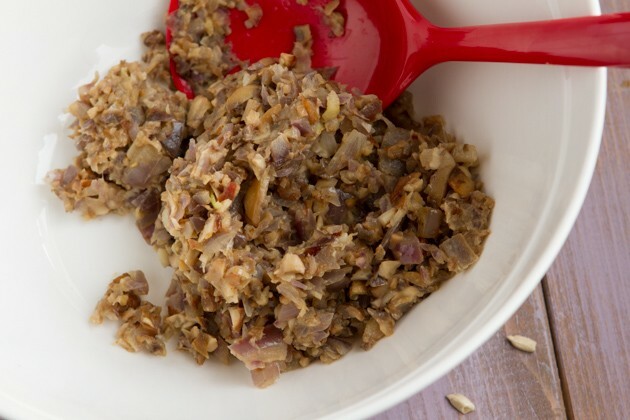 This grain-free, low carb, keto, vegan seed roast is bursting with flavor, light and easy to slice. Just 3g net carbs per serving. Great on its own as a snack or as a main dish for the family to enjoy. Preheat oven to 350F and lightly oil 2 small loaf pans or one medium-sized loaf pan. Set aside. Add onion, garlic, mushrooms and oil to a pan. Saute on medium heat until lightly browned. Combine ground flaxseed with warm water in a small bowl and allow to sit for at least 5 minutes. 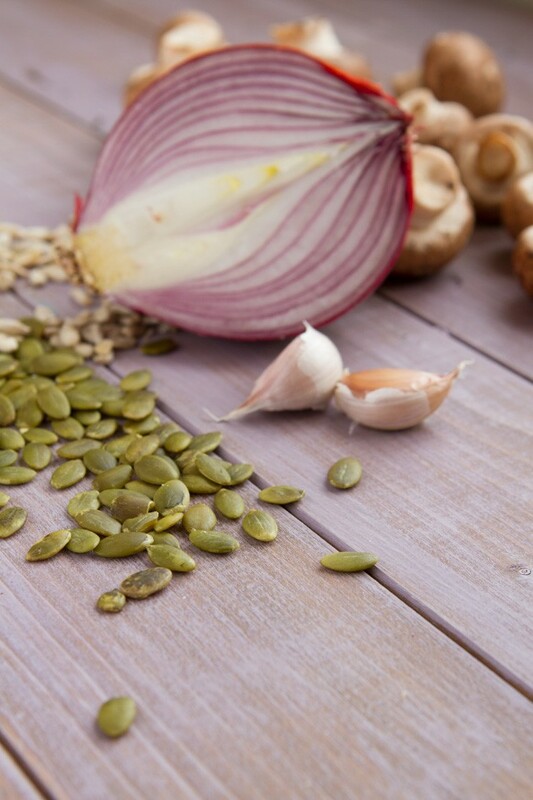 Meanwhile, add sunflower seeds to the bowl of your food processor. Process until there are small bits, the size of hemp hearts. 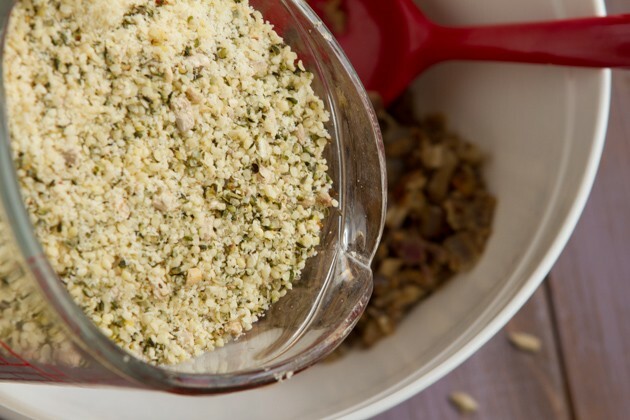 Add hemp hearts, almond flour, spices, and salt. Pulse lightly, to break up the hemp hearts a little bit and combine everything. Transfer seed mixture to a bowl. Set aside. Transfer sauteed mixture to your food processor and give it a little whirl to break things down. Drop sauteed ingredients into a large bowl. Add processed seeds. Stir to combine, then add flaxseed mixture. Stir until everything is coated in the mixture. It should be a thick paste. Divide mixture and press into loaf pans. Transfer to oven and bake for 40-45 minutes, until a toothpick inserted comes out clean. Remove from oven and allow to cool for 1-2 hours before running a knife along the edge of the loaf pan and lifting out the loaf. You can also serve from inside the pan. 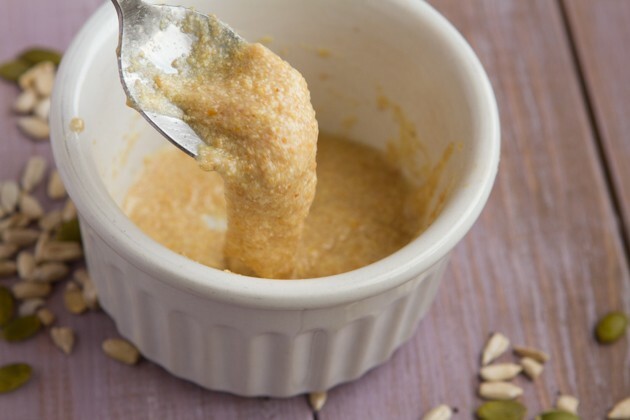 To make nut-free: you could try replacing the almond flour for finely-ground sunflower seeds. Once the vegetables are sauteed, it’s important to make them smaller in your food processor. 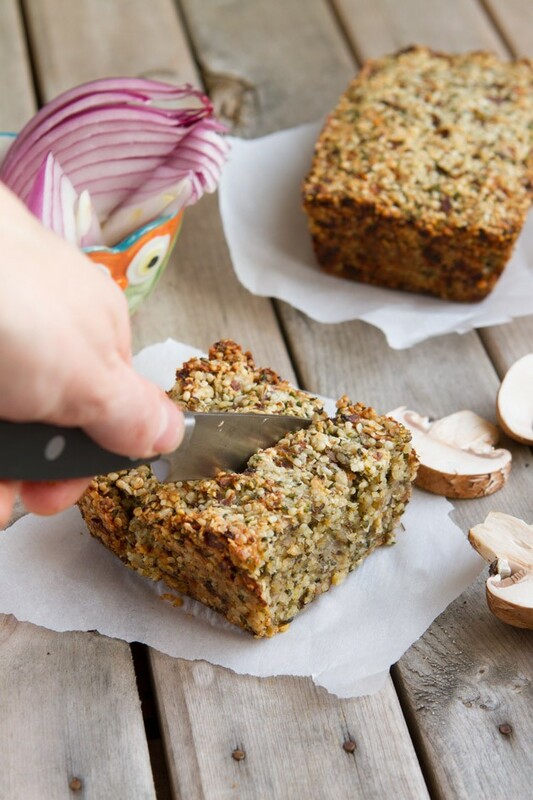 Making all of the bits small is the success behind a keto vegan loaf that slices perfectly! 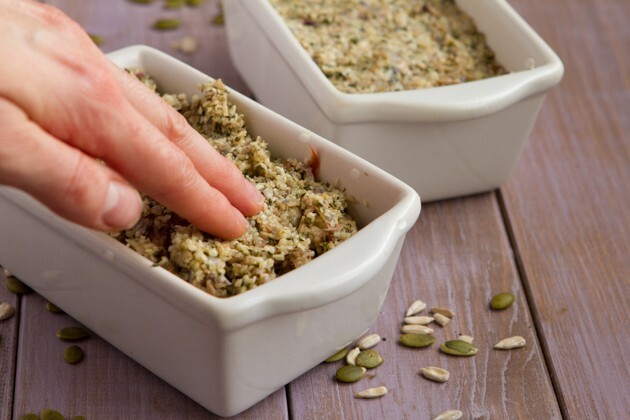 Mix and press into a pair of mini loaf pans. You can use a larger pan, I just like the look of the minis. Bake, cool and you’re ready to enjoy! There you have it. So, for days you don’t feel like eating meat, do not fret! 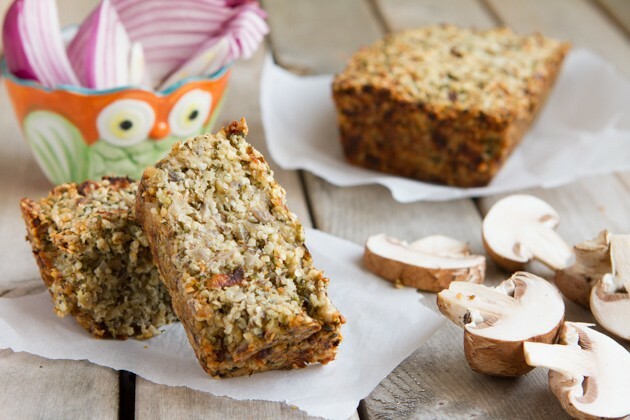 Make this beautiful keto loaf, serve it to your family, and bask in keto plant-based goodness. 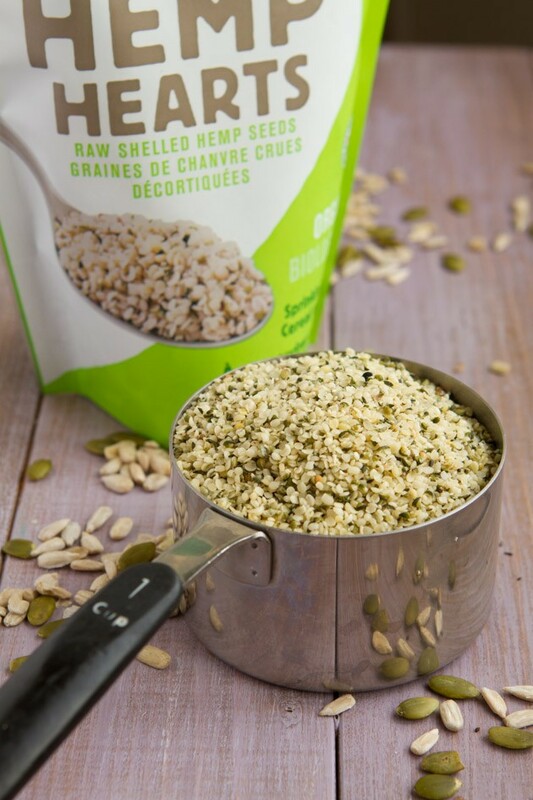 Have you used hemp hearts as a replacement to oats in your favorite recipes? If you have, I’d love to hear about it in the comments. And if you haven’t, please do and tell me how it goes!